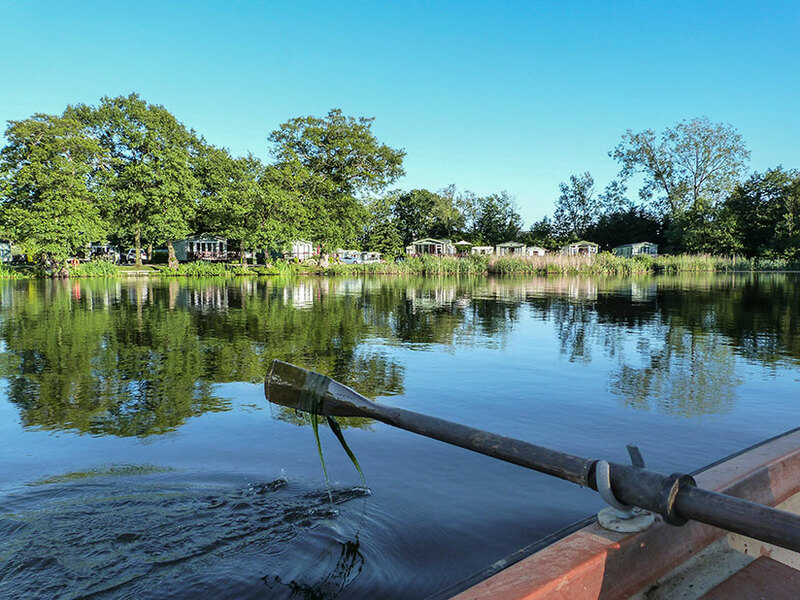 Exclusively for holiday home owners, tourers and self catering staing on park, it is important for anglers to know that Pearl Lake is a natural lake that can be fished rather than a dedicated fishing lake. As a visual spectacle it delights those who do not fish as much as it excites those who do. For this reason the lake is neither designed to be, nor stocked as, a fishery. The water quality is paramount to us and all the contributors to this – flora, fauna, roots, lillies, freshwater mussels etc – provide an abundance of natural food for the fish. Your challenge as an angler is to outwit the fish and make your bait the more attractive option. Weed will shelter silver fish, protecting them from predators, and is another important part of the lake eco-balance. We try to keep the swims clear for anglers so this does not spoil your experience of fishing this beautiful piece of water. The swims are varied– some are open while others are hidden away in the woods surrounded by weeping willows, rhododendron bushes or great gnarled oak trees that must be 500 years old. These places are maybe for the solitary angler, someone that likes to quietly stalk his fish. The magic of Pearl Lake is the feeling that you are welcome and accepted into the peace and tranquillity from the very first visit. Whichever spot you choose to fish there will be tree creepers and nuthatches on one side, robins and kingfishers on the other. To fish in a world and where time does not matter, please read on! Regular Pearl Lake anglers know a thing or two about match fishing with most matches taking place in the summer months, there is often a few lady anglers too. There is plenty of scope at Pearl Lake for the angler who is looking to catch a ‘glass case’ specimen, even though we don’t tend to stuff big fish anymore! It’s not just the carp and tench that grow so well in the rich, clear, spring fed waters, but big bream and pike are landed every year. 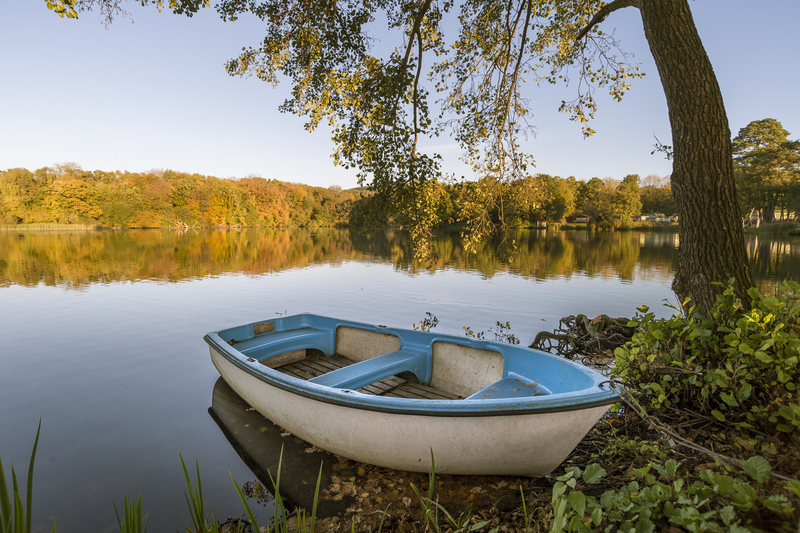 Specialist anglers often like to fish alone and so they are naturally drawn to the quieter, more overgrown side of the lake where everything looks as it has for hundreds of years. Although Common carp of over twenty pounds and tench of 5-10lbs can be caught from anywhere, local knowledge favours the pegs in the early twenties at the top end of the lake. 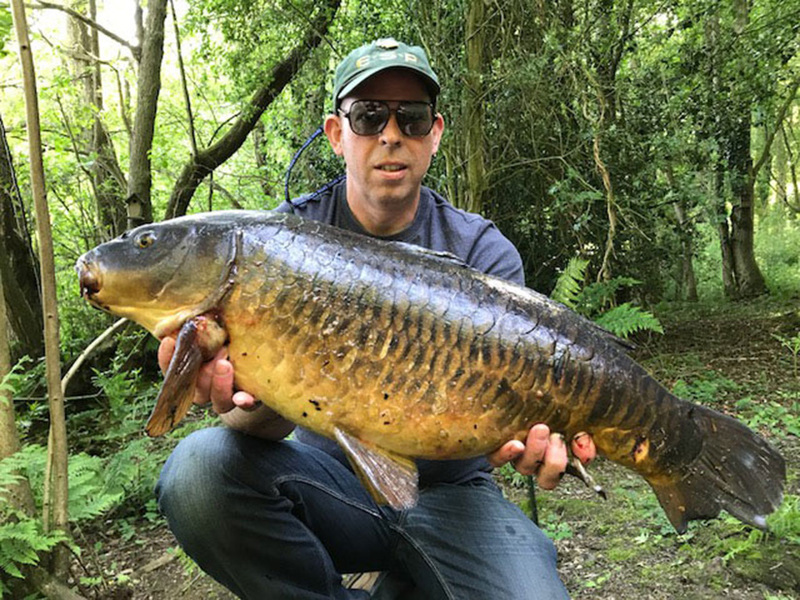 In Spring and early Summer months when fish may be spawning, the big fish can often be found in the shallower water from pegs 26 and 27 at the opposite end of the lake. Specialist carp fishing is almost a sport in itself since many anglers fish for carp and nothing else all year round. There are plenty of double figure carp in Pearl Lake and they can be caught from almost any peg. Some people prefer to fish a dog biscuit on top, close to the lilies. Other are confirmed method feeder people and they often prefer to cast out to the middle of the lake; they would use nothing else. Yet others are captivated by the sight of a float and quite often best results are obtained close in maybe fishing a ‘natural’ bait such as bread or a lobworm. Perhaps the most beautiful of our native species of fish, the perch is the brigadier; a swashbuckling predator of small fish. Many a small boy (including me) started on the road to lifelong angling as a result of seeing that spiny dorsal fin, the dark green bars down the side of the fish and the brilliant crimson pectoral fins for the very first time. This fish is found all round Pearl Lake and if you are looking to catch perch, look for trees and snags in the water, look also for the burst of fry as they leap to escape the chasing ‘stripey’. 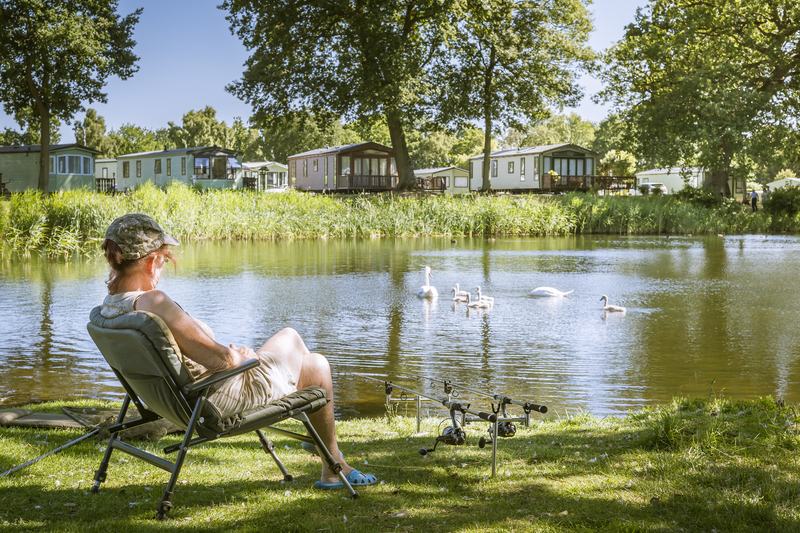 Fishing is exclusively for owners, tourers & self-catering at Pearl Lake. 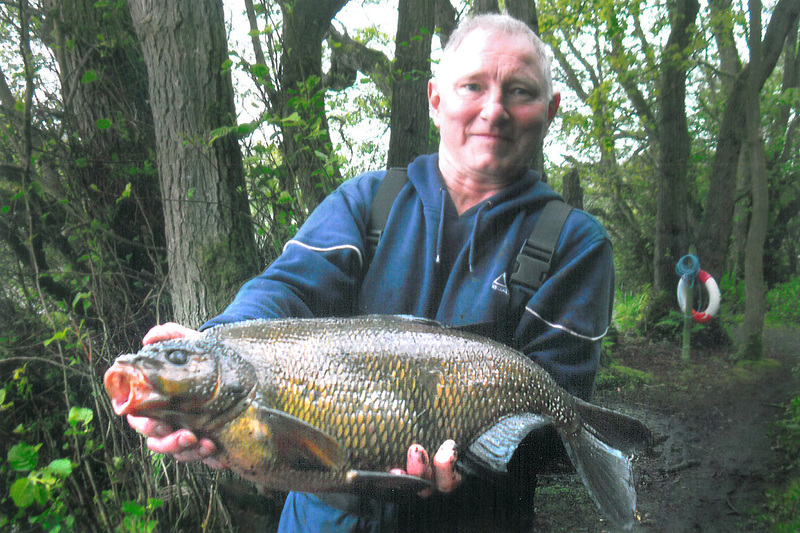 All tourers must obtain a fishing ticket prior to fishing. 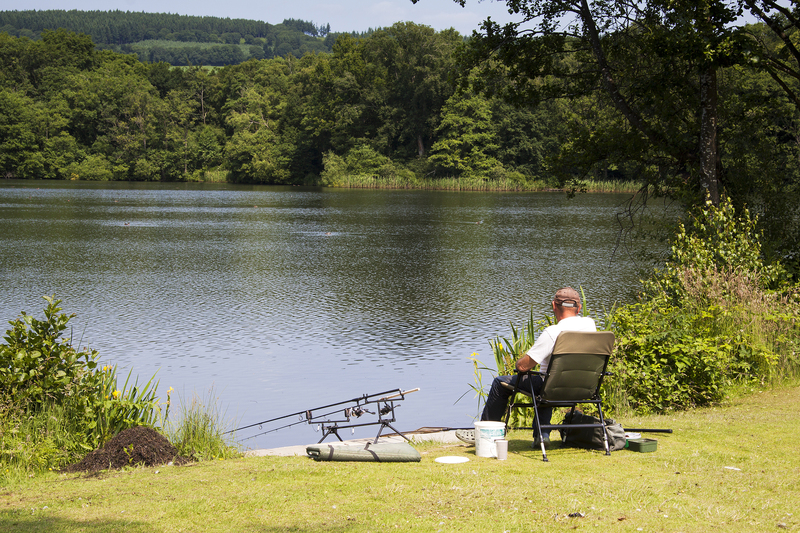 Your nearest Fishing Tackle Shops are located at Docklow Pools (Nr Leominster), or Hereford (Various).